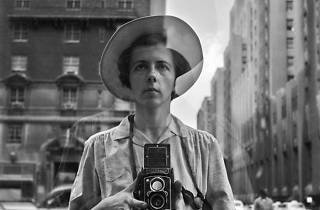 Margaret Keane of the film “Big Eyes” couldn’t call her paintings hers because her pushy husband took all the credit, but Vivian Maier’s genius was obscured by time: working as a nanny throughout her life, 15,000 negatives were found undeveloped in the attic that she lived in after her death. 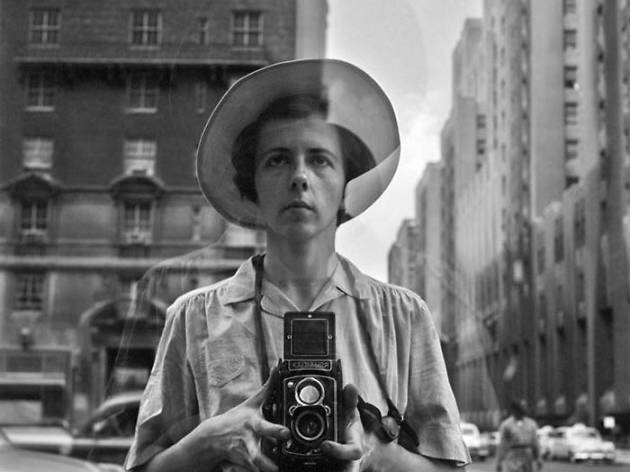 With a Rolleiflex hung around her neck, Maier took advantage of the camera, as it was designed to take discrete snapshots of people without them knowing. A self-described spy, the photographer captured 20th century street scenes of New York and Chicago, as well as “mirror selfies,” posing without the slightest of smiles against a glass storefront. Through Sep 20.